I ran the whole 13 miles without stopping once!!! I am so proud but at the same time I can’t wait to run my next one. HA! Can you believe it? So, now when everything’s over, I decided to make a little guide to both help and encourage every one of you that have running a half marathon on the bucket list. If you’re running a half marathon for the first time, don’t worry because I’m going to give you my personal guide. I’ll give you every single detail on how I did it, packed together with my tips, advice and all your questions answered. How Long Should You Train Before Running A Half Marathon? 2 months are enough to get ready for your first half marathon race. To be real, running a half marathon for the first time doesn’t really feel like a race, but more as a self powering experience. If you’re a first timer, this would probably be a question of durability and not that much of a competition nor race. So, if you’re working out daily for months, if you do lots of cardio and run 5K without any pressure, 2 months are just enough. I actually started running 2 months before my half marathon and really trained for 1 month, nothing more. How Many Times A Week I Ran? As you know, I’m training every single day, including weight lifting, strength training, HIIT workout and cardio. So, I managed to include running 3-4 times a week, sometimes even as a cardio right after my training session. It actually felt like pretty enough for a non runner. How Long Were The Runs? I usually ran about 5-6 miles at a comfortable pace and it felt great. At the beginning I started with 4 miles and then after the first week I increased the distance up to 6 miles. My longest run though was 9 miles, but I did that only once, 3 weeks before my first half marathon race. That’s when I convinced myself that I am ready, since I ran exactly ⅔ of it. That’s probably the longest I’ve ever ran in my life up to that point. I wanted my half marathon to be the first time I ran 13 miles, so it was. However, if I could go back and knew what I know now, I would definitely make my longest run longer and would have it more than once. It’s always good to know how it feels doing it before actually doing it, so yes, that’s what I’d change. They started 3 weeks before the marathon, after I had my longest run. I was a bit frightened of what happens to your body after the 6th mile. Actually, I started feeling pain in parts I never knew existed. That’s when my back knee pain started. I was going on and on about this awfully uncomfortable pain on my Instagram and seems like many runners have this pain too. It started for me after the second mile and lasted till the very end, right there behind my left knee, going up to my hamstring. It honestly felt like a pulled muscle, but then again there was no sign of muscle damage. I looked for a professional opinion and they all said everything was fine and I had nothing to worry about. …except I had a pain to worry about on every single run I had from then on. I am still not sure what it was, some runners live with it for years, they say it could be a muscle soreness on a muscle that goes around the back knee or a string that connects the back of the knee to the lower hamstring. And yes I kept running on it, but felt so depressed that running wasn’t hard enough, now I had to deal with another pain along the way. That’s when I realized that running a half marathon is not about fitness and your overall condition of being physically fit and healthy, but it’s all about endurance. Our bodies can do almost anything, but it’s your mind that needs that extra push. If you learn how to push yourself even when every single part of you hurts, than you’ll do it! What I Ate While Training For My First Half Marathon? My diet while training for my first half marathon race was actually no different than my regular every day diet plan. I eat healthy food, filled with proteins, complex carbs, fibers, healthy fats and lots of greens. Anyone following me on Instagram will know this, since I was constantly posting my meals, alongside with my recipes. Energizing breakfast is the way to go, as long as you keep in mind the basics – clean and healthy food. For lunchtime I usually had complex carbs alongside with some clean protein. Dinner is almost always same as lunch – meaning proteins + complex carbs, except I increased the protein intake since my muscles needed a proper recovery. I usually had my runs before dinner and sometimes even before lunch, but never before having my breakfast. I made sure to cook my foods healthy too. Fried food was the worst thing I’ve ever done, so after I learned my lesson I started adding the oils after I cook the meal. That way, you’re making sure to keep all of the nutrients from the oil since you’re not heating it. I do the same thing with salt and other spices – cooking them on high heat will make them lose most of their nutrients, so adding them afterwards is the way to go. My energy load up started 2 days before running a half marathon. I increased the carb intake, but still kept it all clean and healthy. So I choose to go with bigger portions of whole grain pasta and sweet potatoes as my main carb for both dinner and lunch, and chicken breast as my protein. The very last day before running my half marathon, I ate my dinner right before heading to bed and added a bit of broccoli along side. Avoiding fats in these last few days was the way to go for me, even avocado and my favorite pumpkin seeds. I had fruits as a snack between my meals and of course peanuts. The key is to actually not try new things. These last few days before the race are the ones you don’t want to mess up, so do not experiment with new foods or drinks. Keep it simple and always go for the safe option. I didn’t use any kinds of energy based supplements the days before and on the day of the race. I know how popular energy gels are among runners, but I haven’t tried one so I decided to not do it until the very end. I mainly used bananas for energy load up, even on the day of the race. However, protein powder was on my daily menu, usually right after my runs. I use clean protein powder with no flavors, since I hate adding sweeteners and extra sugars in my body. Also, I used Magnesium every single night to prevent cramps together with B vitamin to help me recover and sleep better, and Vitamin C in the morning to prevent flues. I was so afraid and careful to not get sick, so I made sure to add all of these vitamins in my diet in order to give extra strength to my immune system. I’m used of waking up at 8 am in the morning, but if I have to do it earlier I have problems getting off the bed in good mood, especially if I haven’t slept well. Because of that, I decided to wake up a bit earlier the day before the marathon, so that I don’t feel sleepy when I have to wake up the day of the race. So I woke up at 6:30 pm, got my shower, prepared my breakfast, had my coffee and started my day as usually. Since I was reading about preparing for a half marathon race so many times, everywhere I read they said this is the day you want to REST. No unnecessary standing, or walking, just rest. This is your lazy day, no working out, no cleaning or any kind of activity, just relax. I went to my friend Lina, and we cooked together. We had a whole wheat pasta for lunch with mushrooms and cherry tomatoes. Then I had can of chickpeas as a snack and a handful of peanuts later on. For dinner I had whole grain pasta again, but this time sided with chicken breast and broccoli. I ate my dinner at 9:30 pm and got into bed 10:30 pm – had my magnesium +B6, so I managed to get a good 7 hours of sleep. I woke up early, 5:30 am, so that I have time to eat my breakfast, have my coffee, my shower and get ready without rushing myself out. Rushing out is the worst idea, so always make sure to make time to get ready and finish everything you have for the morning. Once I made sure everything’s packed up, I went on my way. My grandfather was driving me to the race, so we left home at 7:40 am – the race was starting at 8:30 and it was a 15 minutes drive. I was so scared, but excited at the same time, I couldn’t wait to start since I had this weird energy going in me. I ate my banana on the way to the race and take my last few sips of water. The last thing I done, before getting in line was peeing. Some would say coffee is not the way to go the morning of the race, but I say it’s not a good idea to do something different than the usual. I have my coffee every single morning and don’t see why I shouldn’t do so this morning too, especially since I know I’ll end up with a headache if I skip it (and a bathroom load down too). Before I crossed the start line, I set my headphones and my playlist. I was feeling so excited I just couldn’t wait to start. I had butterflies flying in my stomach and had so much adrenaline in me that I actually didn’t seem to notice anything at all except excitement for the first 6 miles. Running a half marathon felt like flying for these first few miles, flying with adrenaline and lots of happiness. I remember I was singing a few lines of the songs I was listening out laud, it was so good! The last 2 miles were the hardest for me, even though I knew I won’t give up now, but they were actually pretty challenging. I remember applying a muscle gel on my hips – they hurt so bad. And then people cheering, and I was running like I stole something. I ran the whole 21K without ever stopping once and my time was 2:10. This experience was one of the greatest ones I’ve had in my life, I loved every single step of the way and I can’t wait to run again. So girls, it’s your turn – YOU CAN DO IT TO! It’s all about the mindset, so set your mind and run like you stole something. You don’t want someone randomly calling you just because they have no idea you’re running. 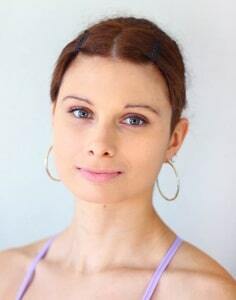 Your hair should not mess with your face, it’s frustrating so make sure to tie it well before starting the race. There’s water everywhere around you, so no need to carry one with you. Running with a bottle puts pressure to one side of the body and running will feel much easier when there is a balance. You might feel bloated if you do so. Instead take extra small sips at the water stations. Running with headphones is great, but running while everyone around you is cheering is even better. So lose at least one of your headphones, to hear the cheering ups – they’ll boost up your motivation! And I powered up again 🙂 I was singing out loud, can you believe that?! Your playlist can be a mind booster, so take your time making it. They’re so motivating and funny! It’s so comforting and exciting to see a familiar face and to hear a cheering voice for you. I saw my niece Lena on 10K, my besties on 13K, my mom on 16K and my loved one Matt on 19K. They’re the best for doing this -they gave me the strength to keep up! It’s your first time running a half marathon and it’s more important to finish it than to chase your time goal. Run at a comfortable pace, you’ll push at the end. If you haven’t tried anything like it on your training, now is not the best time to do it either. In fact, the race is the worse time to try new things, so avoid that and play safe. Run in the same old shorts you’re used to running, and in the same sport bra. 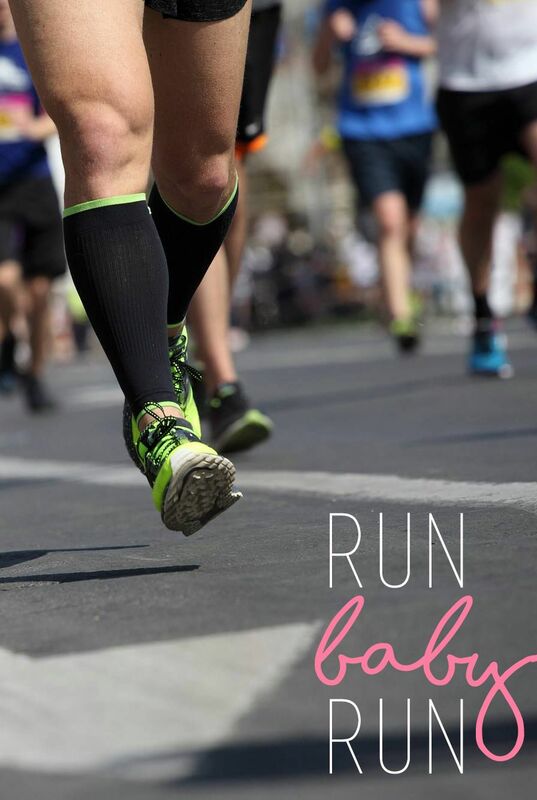 Don’t make the mistake buying yourself a new pair of shorts, bra, or even worse shoes just for the race day. No new stuff without trying the before head. If you stop it will be so hard to start again, so keep running no matter how slow you go. Check out for the closest half-marathon race and start training. Also, don’t forget to check out my 17 Last Minute Marathon Running Tips for some extra advice. And remember, you can do it! 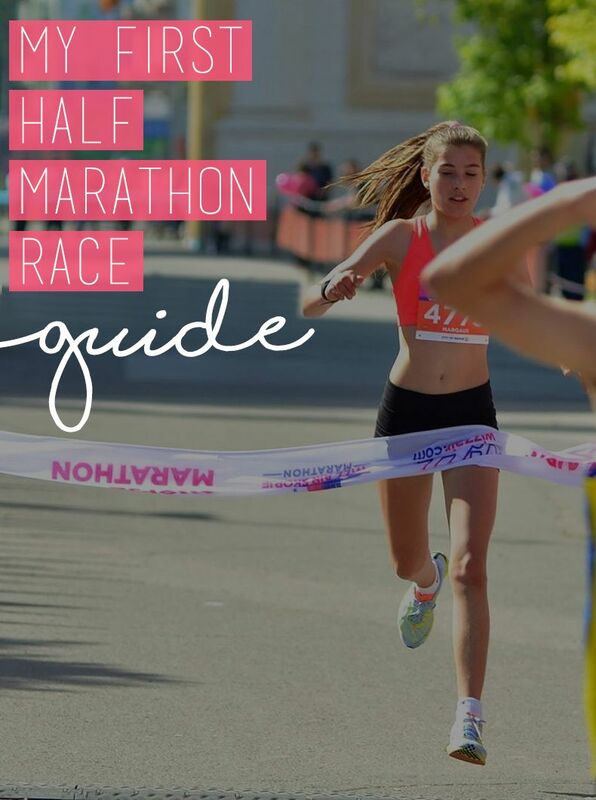 If you like my Running A Half Marathon Guide, don’t forget to share it with your friends!